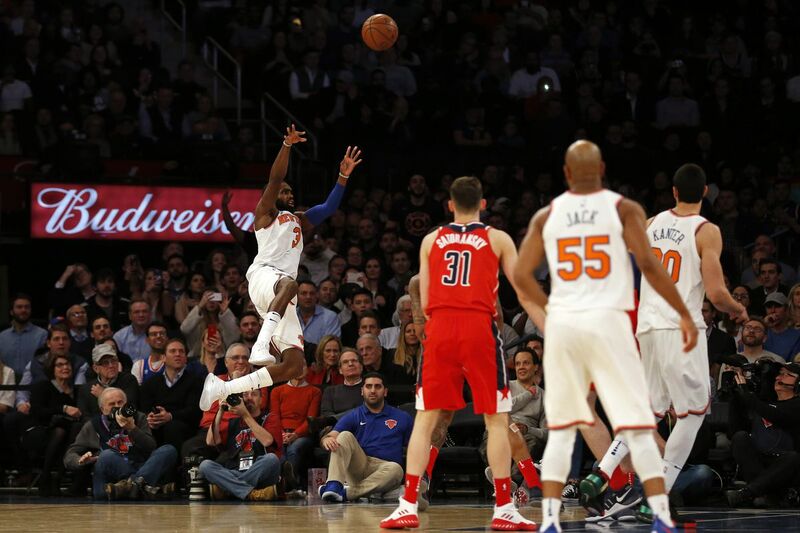 Home » Basketball » State of the Knicks at the All Star Break- Who cares? The NBA season has reached the All Star Break, which means MOST teams have played about TWO-THIRDS of their schedule and for the Knicks this season has been TERRIBLE. Over the last SEVEN days the Knicks played FOUR games and this might be a SHOCKER but they LOST all FOUR games, in fact they are currently on a EIGHT game LOSING streak. It would not SHOCK me if they do NOT win another game all season. We found out last Wednesday that the Knicks were going to be WITHOUT their best player, Kristaps Porzingis for the remainder of this season and a BIG chunk of next season. Instead of the injury RALLYING the remaining HEALTHY players on the team, it crippled them and ALL hope is LOST from this team for the next THREE seasons. The injury to Porzingis could NOT have come at WORST time for the Knicks as they are now STUCK in the middle of the NBA standings, they are NOT good enough to make the playoffs NOR are they BAD enough to get a chance at a very HIGH draft pick. The Knicks are going to FINISH the season right at around the TWELFTH seed in the East, which is the WORST position for a team to finish in. TWO of their next THREE games of the Knicks after the All Star Break are against the TWO best teams in the NBA, so things are NOT going to change for this team as they DIE out (hopefully). The Knicks will take on the Orlando Magic on the ROAD, the Boston Celtics and the Golden State Warriors at HOME in games following the All Star Break and I fully expect them to LOSE all of those games. It looked like the Knicks would possibly get a WIN over the Washington Wizards at HOME last night after they had a BIG second half lead against them, but of course they did NOT. They were up by TWENTY SEVEN points at one point and LOST. This was their BIGGEST blown lead since the NBA started to record lead changes in the 1991-1992 season. I even got EXCITED to see them WIN last night, but of course, I am NEVER going to be happy following a Knicks game for the FORESEEABLE future. As the Knicks season continues to go down the drain, I will keep blogging them even though I do not want to, so keep coming back here every Wednesday/Thursday to see how bad the Knicks did every week.